Singer and songsmith Mr. Jonathan Coulton of New York playing in Whelans 24.10.08. Picture by Crazyjaf. Gaelcon, Ireland's largest games convention has just finished and it was fantastic fun. 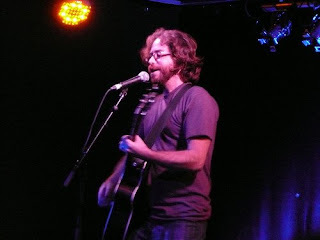 The weekend started well with a Jonathan Coulton gig on friday night. The warm up act was a bit grim and is probably best described as a very long sound check, but the man himself was excellent. Having been to a grand total of two gigs, I'd like to say that Jonathan certainly gave Alice Cooper a run for his money. A great time was had by all, though I did get rascally drunk and yelled at poor old Mr. Coulton towards the end, according to Fitz, something along the lines of, "Your mother is a very classy lady and you're very lucky to have her." Apparently that didn't actually make it any better. But still and all it was great fun. More later. Realistically, I don't see myself playing much Charge! in the next year as I suppose it probably won't appeal to most of my regular opponents, but the regimental organisation appeals to me and the figures can certainly be used for other games. Fitz and I were discussing playing skirmish games in the conservatory. Rules to be decided, probably Warhammer or Savage Worlds. The other advantage is that in Charge! terms forty eight enlisted men plus officers and other assorted harmless persons, make up a regiment. This number is near enough to the action bayonet strength of a company (after attrition) to be considered near as damn one to one, which is nice. French Foot artillery by Zvezda. I have a decent force of both French and British infantry, some French cavalry and two British guns. I'm painting up three French guns at present, the simply beautiful Zvezda set of French Foot artillery. A regiment of British Light Dragoons is in the works, I think I'll try to paint them up at the 6th Light Dragoons from Allan Mallinson's excellant Mathew Hervey novels. I must go check information on facings, etc. There's something deeply satisfying about setting out figures to be painting, arranging them in ranks and tallying how far you've progressed. In a way it points to how like gardening the painting aspect of wargaming is, in that there's always something to do and you're never really finished. The pleasure of doing the thing is its own reward. I packed away my Second World War Germans last night as I hadn't used them in years and they were taking up valuable space that could be hogged by Napoleonics. I was reflecting on the irony of my large German collection last night. Like my Napoleonic collection, they began as a small selection of figures for use in roleplaying, but have ballooned since then. I'm always faintly suspicious of chaps with large German armies, mainly I suspect because I because possess a full throated dislike of anything to do with the Third Reich. Much the same can be said of Imperial France and yet the Halberdiers demand ever increasing and ever more diverse sorts of Frenchmen to murder and so the collection grows. Laying out the forces has brought my attention to the fact that I am lamentably short of standard bearers, RSMs and others of that breed. I shall soon have to turn to metal to recruit these. Re-read "War Games" by Donald Featherstone last night after a heavy day at the ranch, the brio of his work and its tumbling enthusiasm never fails to lift my spirits. That, a pipe, a Hennessy and a dash of Shelly. What better restoratives could there be? Little Wars, the Tennessee Campaign & a touch of sadness. An image from the front. Little Wars at Confess. Note the camera shake. Our photographer was under fire at the time. The last few weeks have been relatively busy. 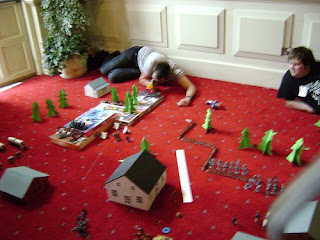 Confess in Sligo was very pleasant and a great deal of Little Wars were played. The players enjoyed themselves and we got a few games under our belts without missing out on any of the delights the con had to offer. Two points struck me the night before heading down to Sligo with all the impedimenta of Little Wars upon my back. Firstly hills are big and hard to transport and secondly woods are big and fragile. 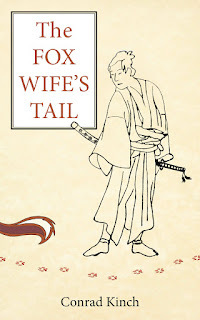 The fix for these two problems were relatively simple. Use whatever comes to hand for hills. There was a large collection of boardgames at the con and their owners were quite happy to let us use them as hills for the duration of the game. The gaming public can generally be relied upon to provide scenery of that type to the Little Wars player "on the road". My trees, were if I say so myself, a triumph. I have a collection of standard wargaming trees, but I can't say I was particularly enthused about dragging them down to Sligo. Also they were HO scale trees and looked distinctly shrub like next to the 1/32 figures that we were using. A cunning plan was hatched and a supply of green card purchased. The result was trees that were light, transportable, looked suitably toy like and joy of joys could be knocked over with a nerf pellet without much trouble. The players took to the opportunity for deforestation with all the innocent joy of a bully kicking a small ginger child from one end of the school yard to the the other. Little Wars was a success, I'm just looking forward to trying it on a larger scale. Not necessarily with larger forces, but with a larger playing area, which will give more possibilities for maneuvre and other such sly and underhand French tricks. In other news, the Tennessee campaign that we're playing at the moment is rolling along good oh with no final victory for either side in sight. I lead the Union to a mediocre victory, where having gained the upper hand in the strategic shenanigans before the battle, we failed to turn that advantage in numbers and command into a decisive victory. I've gone over the battle a few times in my head and I'm still at a loss as to what I should have done differently. Normally, I can look at a battle and point out where it all went wrong. In this one, we won, but not alot went right. The victory cost us rather more than I liked and the rebels acquitted themselves rather well considering their initial handicaps. Beyond observing that Bellona was not kind when the dice were rolled, there's not much more I can say. One sad thing that has happened has been the theft of some dice from our local club. Myself and a friend have run a variety of Second World War games at conventions over the last few years, using a boardgame called Memoir44 adapted for miniatures. We've had a deal of success and have run a variety of campaigns using this quick and adaptable system; including the Finnish-Soviet war of 1941, Stalingrad, Kursk, Tarawa, Guam and Gaudacanal amongst others. The game relies on a set of special dice marked with differant symbols to resolve fire. Unfortunately, it seems likely that those dice were stolen from our local club some time ago, I didn't notice at the time as I haven't played the game in quite a while. Other gamers have noticed kit going missing, which is why I suspect theft rather than loss. My buddy is working up a new set of dice using some blanks, but what really saddens is that someone we know and have perhaps gamed with has taken these. Perhaps I'm being naive, but I've always felt that there is a certain freemasonry amongst wargamers, a sense of fraternity that unites us, even though we differ on just about everything else. It batters my heart to think of that being abused.